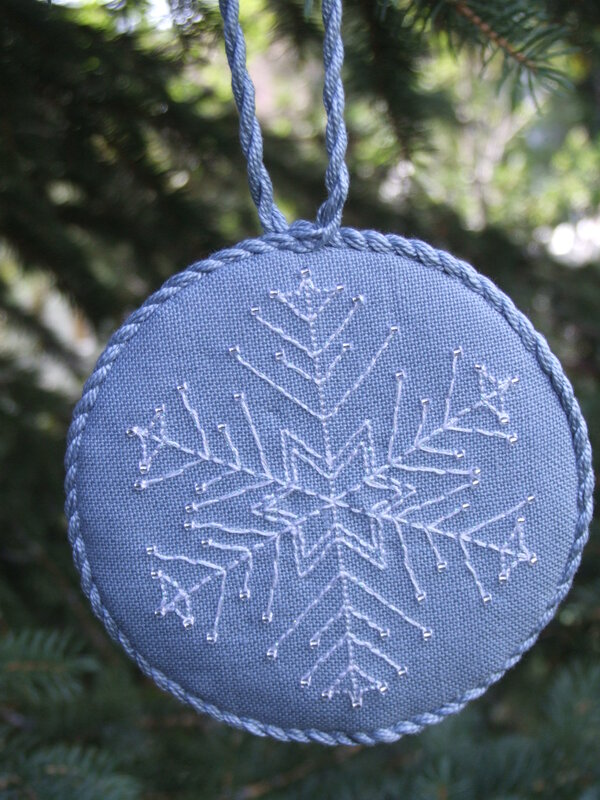 This Snowflake Ornament has been done in two different color ways. This one is white on blue. It is time to mark you calendars, think about what you want to bring for a pot luck dish and get ready to celebrate Sego Lily Chapter. We will celebrate on June 28, 2018 at 6:30 PM (or when you can get to Alice R’s house). We are celebrating with a pot luck dinner so bring something to share. Beverages and plates and such will be provided. If you have family or friends you would like to introduce to Sego Lily Chapter and EGA please, bring them. Our Chapter does need to grow so if we can interest family and/or friends in EGA and what we do then that would be great all the way around. We welcome anyone interested in embroidery so all are welcome. This year let’s do a Show and Tell that includes what you have finished since June 2017 and even what you are working on currently. Haven’t started a project because you think you cannot manage to finish it? Bring it and get encouragement to get going on that piece that called to you. 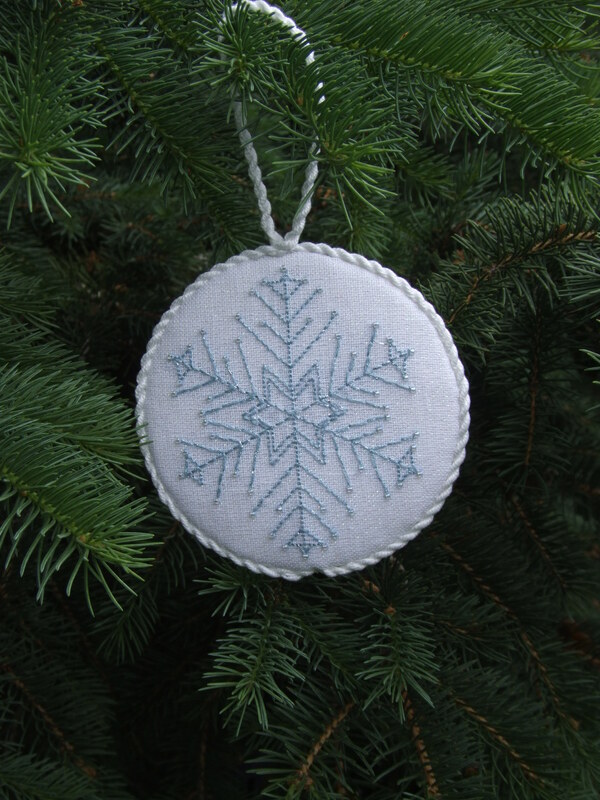 This is the second snowflake Ornament for our Christmas in July class. I will have both at the June Birthday Party so you can see them in person. Plan ahead and look for an email in June with the supply list for the ornaments. This is one of the ornaments we will be doing in July for our Christmas in July program. 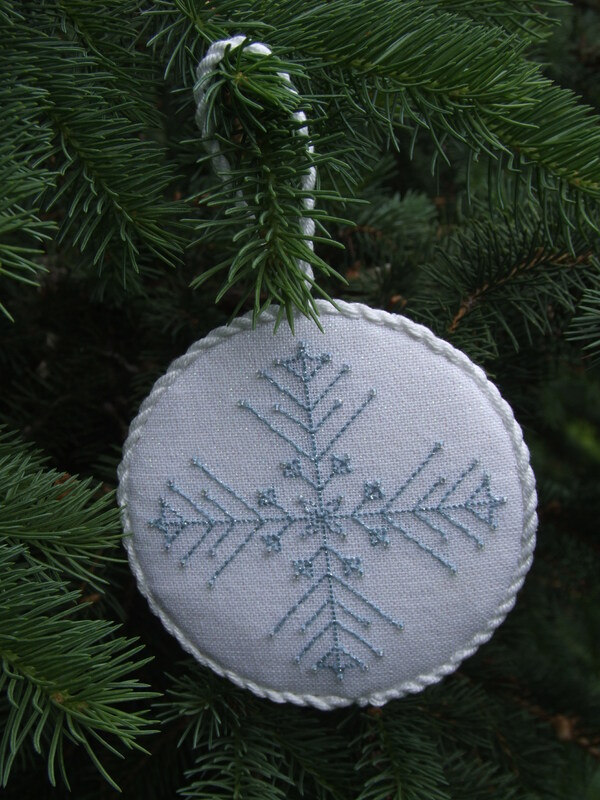 Alice R. is working on the finishing for Snowflake Ornament #2 and will post a photo when it is complete. Plan now to attend our July meeting. May Meeting and Dues Payment is Due. It is time to start thinking about our meeting this month. While we are still looking for a more permanent location for our meeting we are trying another location this month. We will meet a bit earlier as well in order to use the room. So, we will meet May 24, 2018 at 6:30 PM to 8:30 PM in the Study Room at the Holladay Library which is located at 2150 East Murray-Holladay Road. We have a change in program and we will work on the GCC Beaded Necklace. Remember your dues checks for $48.00 need to be paid by May 15, 2018. Please see your email reminder for the meeting this month for the address to send your check. We hope to see everyone at the meeting this month and get those dues payments in so you do not miss out on Sego Lily and EGA events and opportunities. For anyone who wants to go to dinner before the meeting we can meet at The Blue Lemon on Highland Drive. The service was quite fast last time we met there so we can meet for dinner at 5:45-6:00 and still have time to get to the meeting on time. Let me know, please, if you will be coming for dinner so I can find a large enough table for our group. Remember your dues, please. We need to have 15 members in order to keep our charter. We would love to have new members and this is a great time to get family and friends to join us as it is the start of a new year as far as paying dues goes. We always welcome visitors at our meeting and hope they will decide to become members. I hope to see everyone at the meeting this month and join us for dinner if you are able.